Understand what is Tor to stay safe from the TOR Flaw. The Internet can be a dark, dark place for the innocent. The recent news of flaws in the TOR browser had exposed the vulnerabilities of the IP addresses of Mac and Linux users. To know more about the latest flaw, let’s first understand what is TOR. We have the Tor Project, which is an online service that allows users to go for anonymous browsing. This will almost eliminate the chances of discovering a user’s location or visited websites. Originally developed to protect freedom of speech and personal privacy in authoritarian conditions, the Tor Project has also been criticized for its linkage to illegal and immoral material, one of them being the recent Tor Flaw. What Is Tor And TOR Flaw? The TOR flaw refers to the TOR project, releasing a patch that reveals the actual IP address of Mac and Linux devices. Each time, a user would click on links starting with file:// instead of https:// or http://, the operating system automatically connects to the remote host, without any protection. However, users of Windows have not been affected by this problem. This is because the Tor Browser 7.0.9 is active only on Linux and Mac operating systems. While Windows users on Tor Browser remain on Tor Browser 7.0.8. After the discovery what is TOR flaw, members of the Tor Project came up a “temporary fix”. Additionally, there was also a notice that the flaw has not affected the Windows Operating system. A personal Virtual Private Network, or VPN, restricts outside access to your internet connection and your laptop/computer. Your confidential information, therefore, remains safe due to high-level encryption. This prevents the hacker from network eavesdropping and carrying out cybercrimes. Apart from that, you can enjoy anonymous internet browsing, enjoying unrestricted website access, accessing your home country’s music and videos. You can do so even when you are abroad. Le VPN also assures you a complete data security. Like any other operating system, your Mac device also needs a VPN. After knowing what is TOR, and the consequences it can entail, it would be an act of foolishness to not want to protect your device. Therefore, these are some of the factors to check before purchasing the best VPN for Mac. You need to ensure that the VPN is compatible with your Mac device. You can easily install Le VPN for your Mac device. It is only a matter of few minutes and you are done. The moment you subscribe to Le VPN, you receive credentials to login. And you can start a safe internet browsing. After understanding what is TOR flaw, let us make sure to secure our Mac devices. 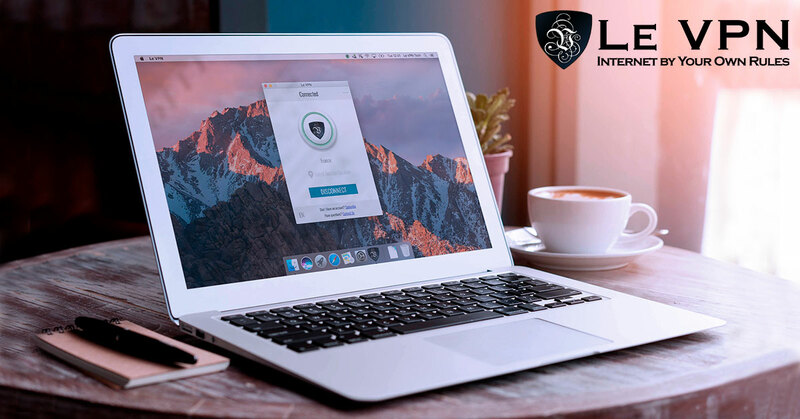 Le VPN’s app for Mac ensures online security. Le VPN encrypts your VPN connection. As a result, no one can access your important data. When you opt for Le VPN, your system is hidden behind our numerous VPN servers. Hence, it is impossible for an eavesdropper to infiltrate the connection. Using Le VPN for your Mac device can take a load of tension and responsibilities off your shoulders. Le VPN is one of the reliable VPN service provider in the market. Moreover, Le VPN is offering a special Black Friday promo for you to purchase services at $69.60 for two years. You can grab the offer if you subscribe to Le VPN on November 20 to 26.